Gwinnett is a hotspot for technology startups, many benefiting from incubator spaces across the community that are supporting ambitious tech professionals. But what happens when a startup progresses past its early stages and enters an enterprising phase? The answer comes in the form of a 43,000-square-foot state-of-the-art facility, Atlanta Tech Park (ATP) based in Gwinnett’s Technology Park in Peachtree Corners. The visionary behind this innovative space is Robin Bienfait, a global c-suite executive whose exceptional résumé includes key roles at Samsung and BlackBerry. 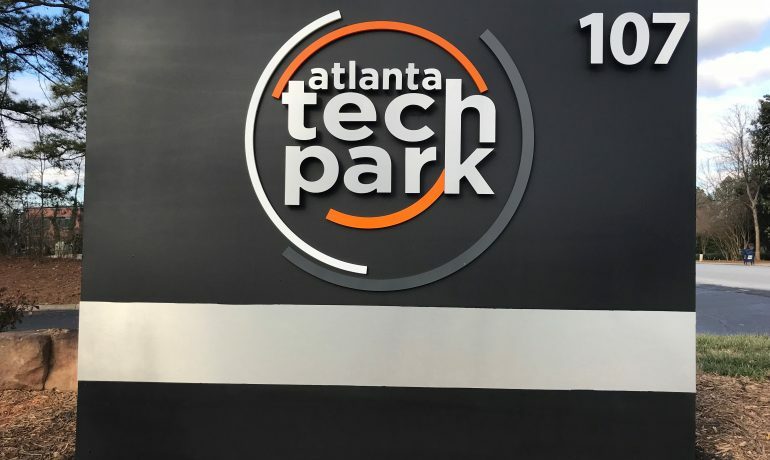 Since ATP’s opening in October 2017, Bienfait and her team have poised Atlanta Tech Park as the go-to accelerator for promising tech startups. Designed to model a global community- the workspace includes a variety of private offices, dedicated open space, event space, and membership benefits to suit any professional. Whether you’re a one-person operation or a team of collaborative entrepreneurs, there’s space for you at Atlanta Tech Park. Members who choose Atlanta Tech Park enjoy several tangible benefits including open collaborative workspaces, a café, secure access and expert support services. Additionally, ATP is home to Emnovate, an executive advisory firm which offers advising, coaching, mentoring, software development and more. Having this expert team inside the same facility allows for exclusive access to ATP members. Learn more about Emnovate HERE. This year, Atlanta Tech Park enters its first full calendar year of operation and already has a jam-packed scheduled. “Atlanta Tech Park is kicking off a great 2018 with several events already booked for the new year. We have the Intrapreneur Conference in March, a roundtable event with the Game Change Agency in April and a CISO Conference in May. 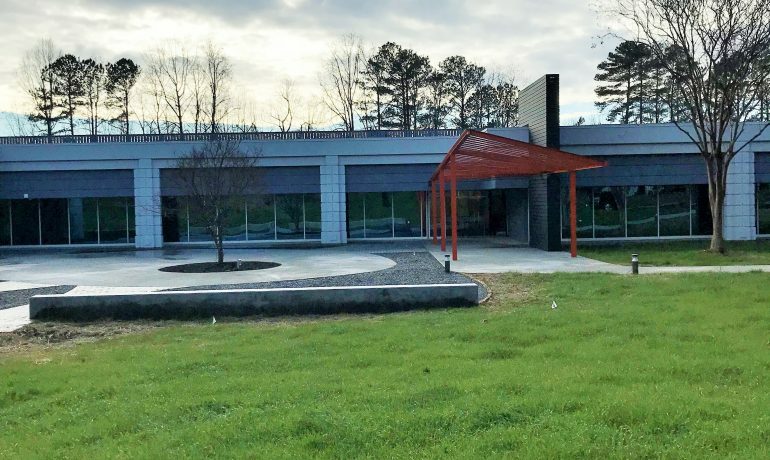 We would love to have companies come and see what is new in our facility as well as in the community,” said Robin Bienfait, Founder of Atlanta Tech Park. A key proponent of Partnership Gwinnett’s mission is to actively support entrepreneurship within Gwinnett- therefore, we are thrilled about the future of ATP. This cutting-edge facility is an additional resource for Gwinnett’s robust startup community. The Atlanta Tech Park joins over 250,000 square-feet of incubator and accelerator space in Gwinnett, that include facilities like 22 Tech Park, Prototype Prime, and the Gwinnett Innovation Park. We look forward to seeing the startups that are transformed into great companies because of these phenomenal startup launchpads! To learn more about the Atlanta Tech Park or schedule a tour, visit HERE.